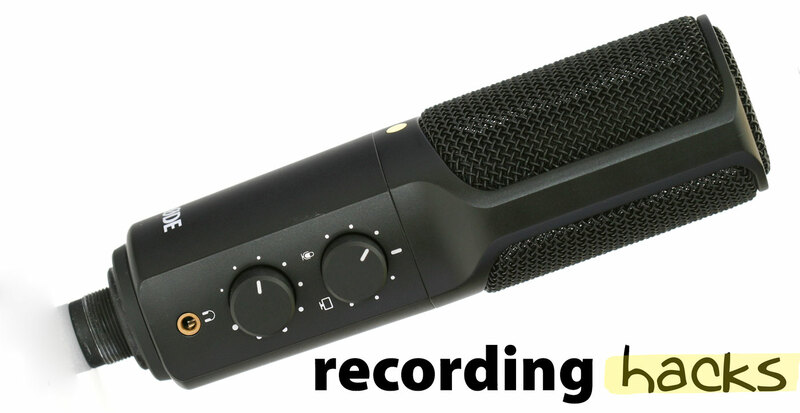 The NT-USB is a 16-bit USB condener microphone, released in 2013 as part of Rode’s successful NT series of studio microphones. Its circuit is described as a “JFET impedance converter with bipolar output buffer,” which we interpret to mean that this is the same basic circuit as is found in the NT1 — albeit coupled to an ADC converter. The ADC chip runs at 16 bits, 48 kHz. Despite the use of a 16-bit converter, self-noise on this microphone is very low — lower than the Studio Projects LSM, in our testing, and nearly as low as several 24- bit microphones tested. 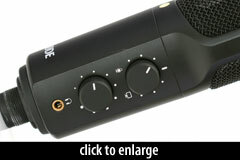 The side of the microphone body contains two control knobs. One adjusts the audio mix for the headphone jack: the user can monitor the mic’s signal (zero latency), or the track playing back from the host computer, or a mix of both. The lower knob controls headphone volume. The headphone jack accepts 1/8'' (3.5mm) plugs. 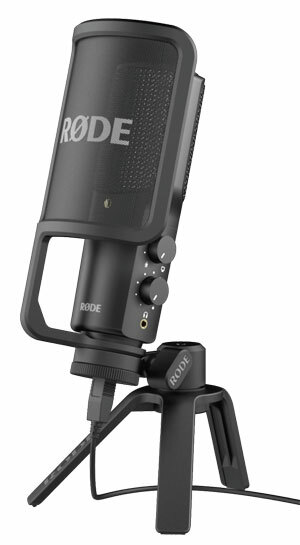 The mic ships with a tripod desk stand, a metal-mesh pop filter, hard mount, and 6m USB cable.